Like a scene straight out of the movie Training Day, a trio of officers from the Baltimore Police Department recently filmed themselves planting drugs in order to make an arrest. Only, this wasn’t a parody and they had no intentions of being seen. As you’ll notice, there is no audio recording until about 30 seconds into the video, at which point the officer “turns his camera on,” or so he believed. Much to his chagrin and that of his fellow officers, the body-cameras worn by Baltimore PD are designed to record 30 seconds of video before being activated. Perhaps, for this very reason. Situations such as this, serve as a reminder of the power and responsibility that comes with wearing the badge. It also serves as a warning that not all police misconduct ends in blood. The man charged with possession of the planted drugs back in January was unable to post his $50,000 bail and was only recently released after the sinister details of the video were exposed. Though one officer has been suspended and two others have been placed on administrative duty, Deborah Levi of the public defender’s office, warns the handling of these revelations are even more troubling. Levi claims the primary offending officer was called in just days after the events came to light, as a witness in another case — without disclosing the allegations of misconduct to the defense attorney in that case. “You can’t try a case with that guy and not tell anyone about it,” Levi reportedly said. 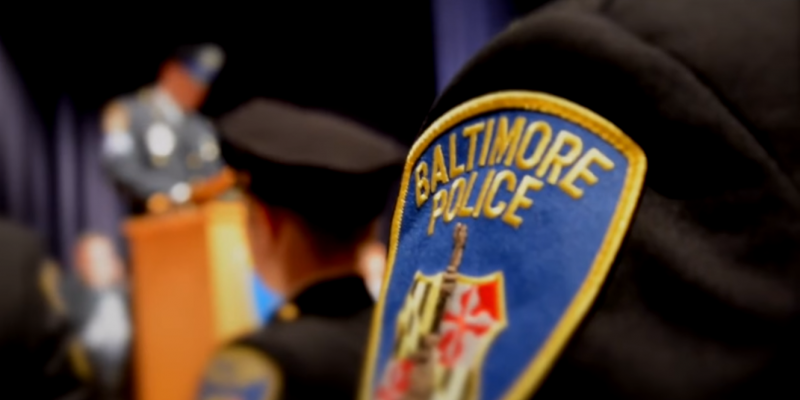 The primary officer in question was identified by the public defender’s office as Officer Richard Pinheiro, and the two other officers seen in the video are Officers Hovhannes Simonyan and Jamal Brunson, according to the Baltimore Sun. If you weren’t sold on the benefits of body-cameras yet, what more do you need to be convinced? Hell, while we’re at it, we should start forcing elected officials and government bureaucrats to wear them, too.